Bogor City Hall is located right on the edge of H. Juanda street; approximately 600 meters northwest of Bogor Presidential Palace. Sorry for not sharing here the best angle of the building, as I captured it from the moving car. 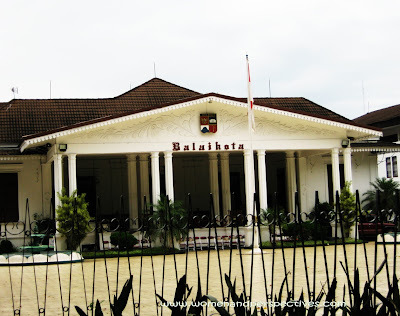 This City Hall still keeps the colonial era architecture. Built in 1868. The building faces the street (south) and has a wide enough front yard. It was painted white and façade section has beautiful and impressive pillars. 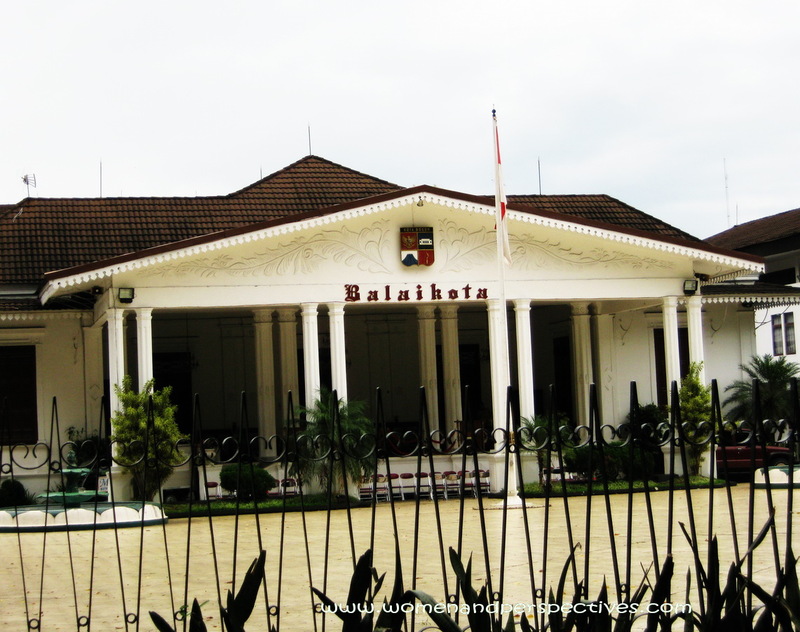 The City Hall is used as a work office for Walikota Bogor (the head of city government). Some Bogor city government offices are located on the back of an additional building.